Michael Pollan is blowing up in the psychedelic community and the world of spirituality right now! Many people felt that it was time for someone of Michael's caliber to write a extensive piece on the nature and history of psychedelics, and he did not disappoint. 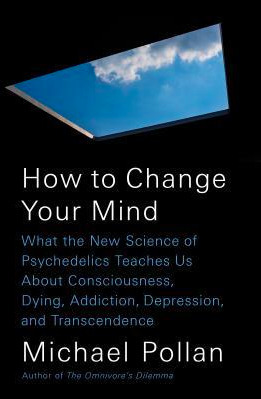 I'm talking of course of his most recent book How to Change Your Mind: What the New Science of Psychedelics Teaches Us About Consciousness, Dying, Addiction, Depression, and Transcendence. It's already an bestseller and here below are some notable quotes and excerpts from it. 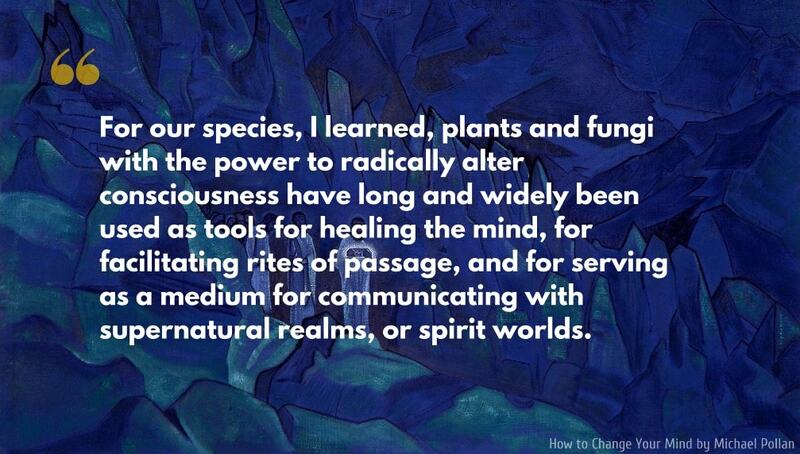 For our species, I learned, plants and fungi with the power to radically alter consciousness have long and widely been used as tools for healing the mind, for facilitating rites of passage, and for serving as a medium for communicating with supernatural realms, or spirit worlds. 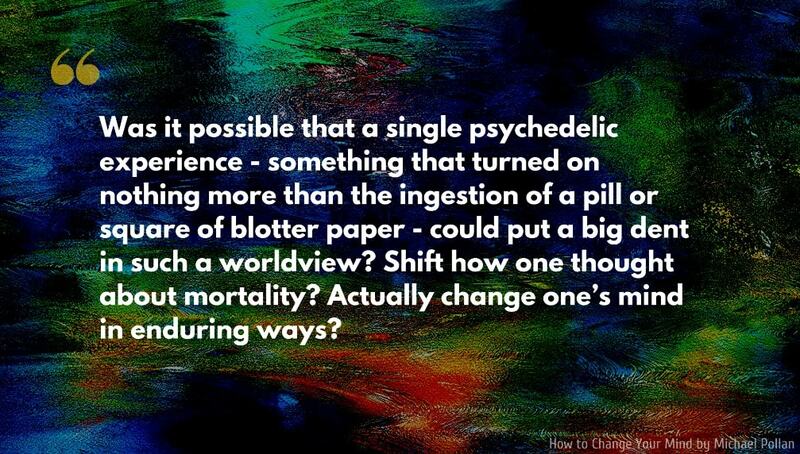 Was it possible that a single psychedelic experience—something that turned on nothing more than the ingestion of a pill or square of blotter paper—could put a big dent in such a worldview? Shift how one thought about mortality? Actually change one’s mind in enduring ways? What I am struggling to describe here is what I think of as my default mode of consciousness. It works well enough, certainly gets the job done, but what if it isn’t the only, or necessarily the best, way to go through life? 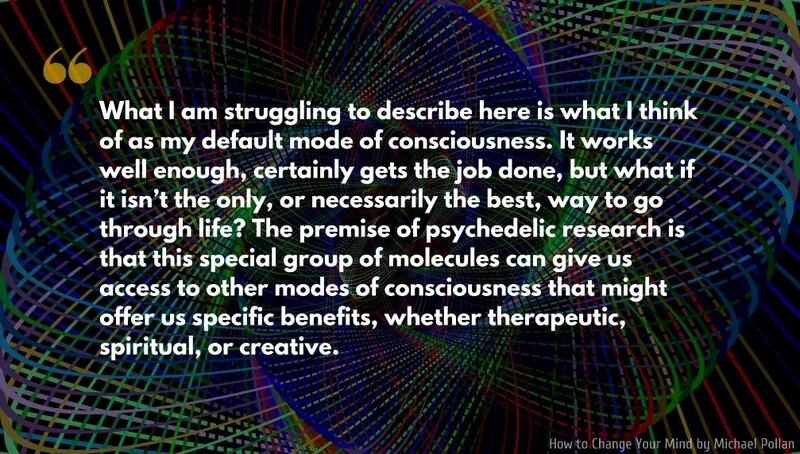 The premise of psychedelic research is that this special group of molecules can give us access to other modes of consciousness that might offer us specific benefits, whether therapeutic, spiritual, or creative. 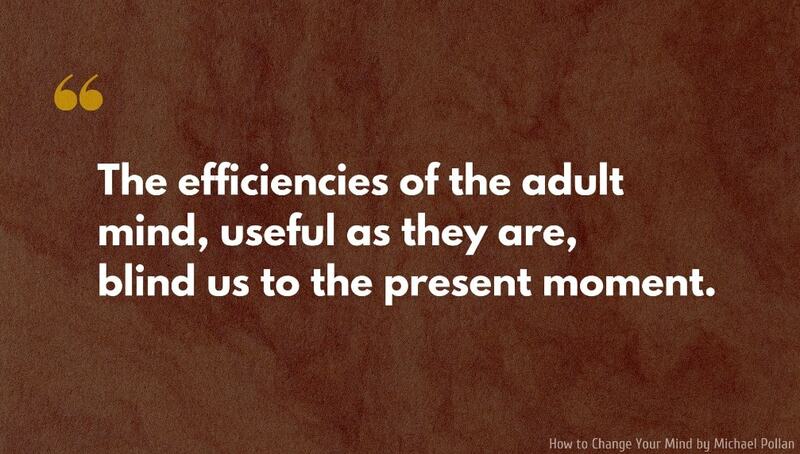 Habits are undeniably useful tools, relieving us of the need to run a complex mental operation every time we’re confronted with a new task or situation. 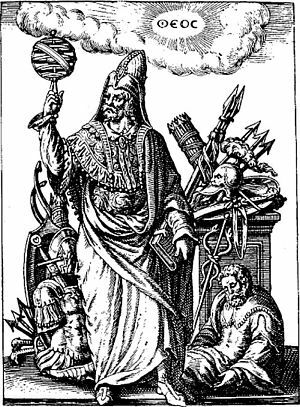 Yet they also relieve us of the need to stay awake to the world: to attend, feel, think, and then act in a deliberate manner. 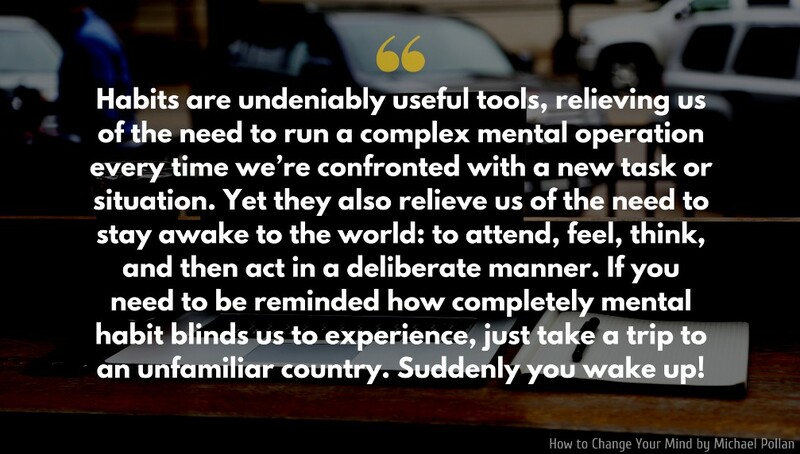 If you need to be reminded how completely mental habit blinds us to experience, just take a trip to an unfamiliar country. Suddenly you wake up! 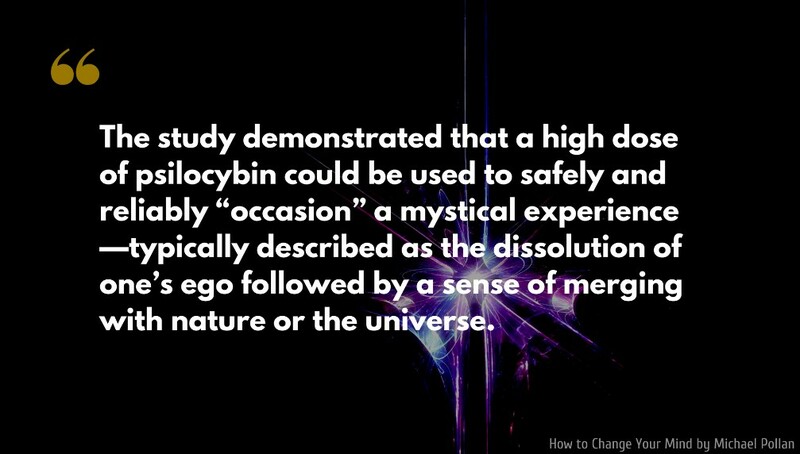 The study demonstrated that a high dose of psilocybin could be used to safely and reliably “occasion” a mystical experience—typically described as the dissolution of one’s ego followed by a sense of merging with nature or the universe. 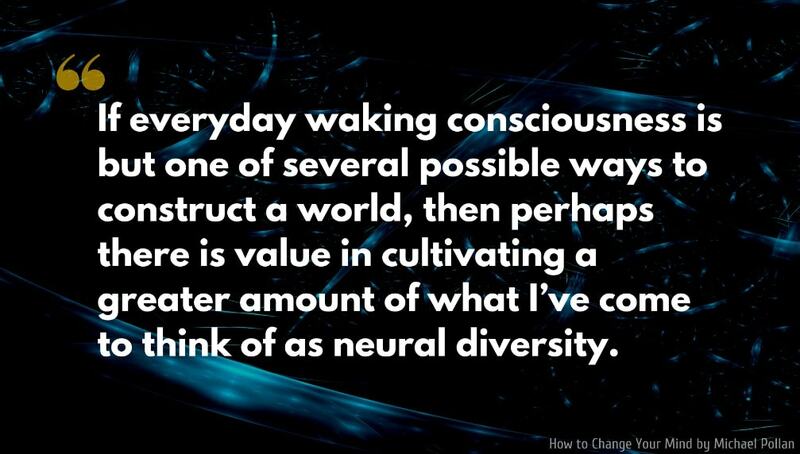 If everyday waking consciousness is but one of several possible ways to construct a world, then perhaps there is value in cultivating a greater amount of what I’ve come to think of as neural diversity. 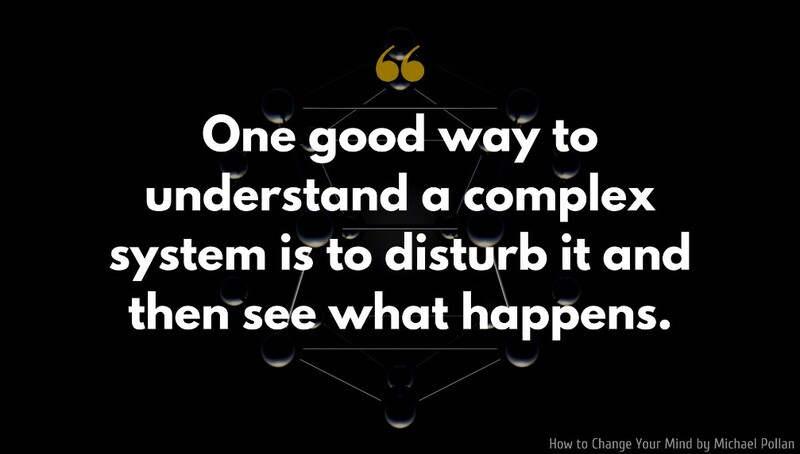 One good way to understand a complex system is to disturb it and then see what happens. Matt Johnson believes that psychedelics can be used to change all sorts of behaviours, not just addiction. The key, in his view, is their power to occasion a sufficiently dramatic experience to ”dope-slap people out of their story. It's literally a reboot of the system—a biological control-alt-delete. Psychedelics open a window of mental flexibility in which people can let go of the mental models we use to organize reality. By the time I arrived safely in my fifties, life seemed to be running along a few deep but comfortable grooves: a long and happy marriage alongside an equally long and gratifying career. As we do, I had developed a set of fairly dependable mental algorithms for navigating whatever life threw at me, whether at home or at work. What was missing from my life? Nothing I could think of—until, that is, word of the new research into psychedelics began to find its way to me, making me wonder if perhaps I had failed to recognize the potential of these molecules as a tool for both understanding the mind and, potentially, changing it. It is also the case that people on psychedelics are liable to do stupid and dangerous things: walk out into traffic, fall from high places, and, on rare occasions, kill themselves. “Bad trips” are very real and can be one of “the most challenging experiences of [a] lifetime,” according to a large survey of psychedelic users asked about their experiences. But it’s important to distinguish what can happen when these drugs are used in uncontrolled situations, without attention to set and setting, from what happens under clinical conditions, after careful screening and under supervision. 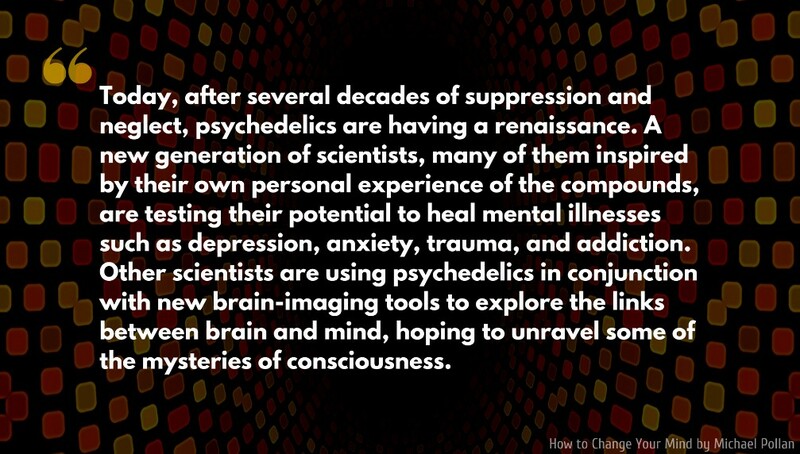 Since the revival of sanctioned psychedelic research beginning in the 1990s, nearly a thousand volunteers have been dosed, and not a single serious adverse event has been reported. How to Change Your Mind is a non-fiction book written by the American journalist and writer Michael Pollan. 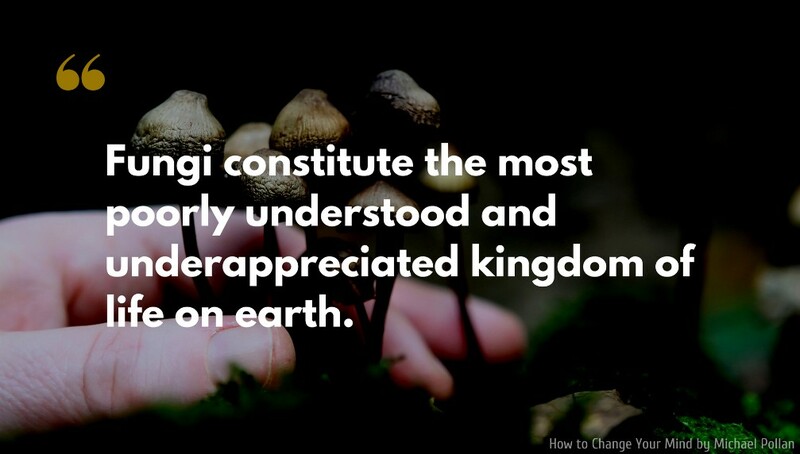 The book revolves around psychedelics or entheogens, its long history, the possible medical benefits and the existential implications of having a powerful psychedelic "trip".